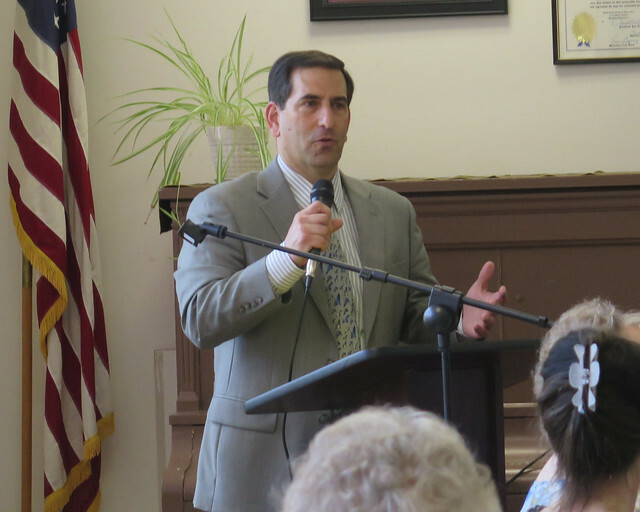 FRANKLIN – State Representative Doug Dubitsky (R-47) will hold legislative coffee hours this Saturday, May 21st, in Hampton, from 9 a.m. – 10 a.m. in the Town Hall Community Room, 164 Main Street. Residents of the 47th District are encouraged to attend and discuss the 2016 legislative session, which adjourned on May 4th, or any other issues or concerns they may have with regard to state government with Rep. Dubitsky. For more information, please call (800) 842-1423 or email doug.dubitsky@housegop.ct.gov. You can also visit Rep. Dubitsky’s website at www.repdubitsky.com or find him on Facebook at www.facebook.com/doug.dubitsky. Rep. Doug Dubitsky represents the 47th General Assembly District which includes Canterbury, Chaplin, Franklin, Lebanon, Lisbon, Hampton, Norwich, Scotland, and Sprague.